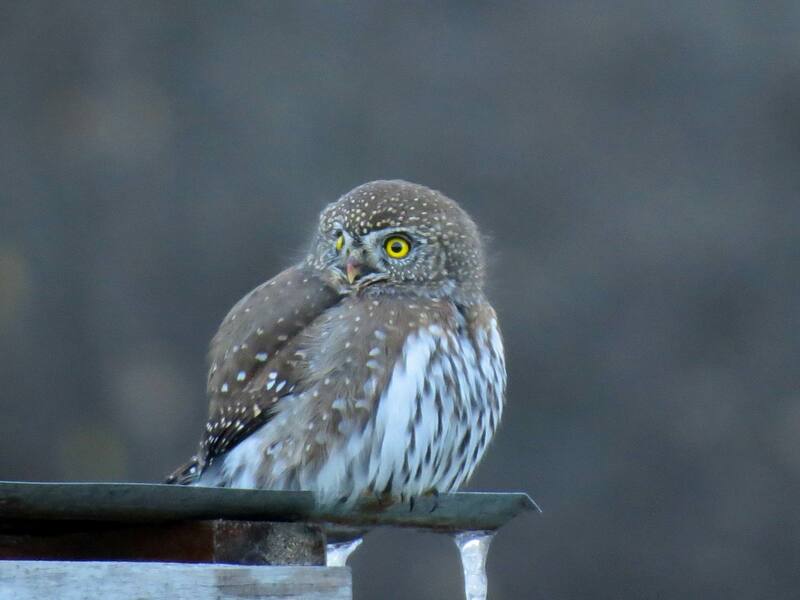 The last few weeks a Northern Pygmy Owl has been seen on the wires north of Ryan Creek bridge along the Meadows road. Such was the case on Sunday morning. I had the camera along, For a better shot I had to turn the car around – where is the owl – gone. Oh well. In the afternoon, I was puttering around my sawmill, which is in our yard. At one time, I noticed in the corner of my eye something sitting on top of a fence post. Just another squirrel, my first thought. 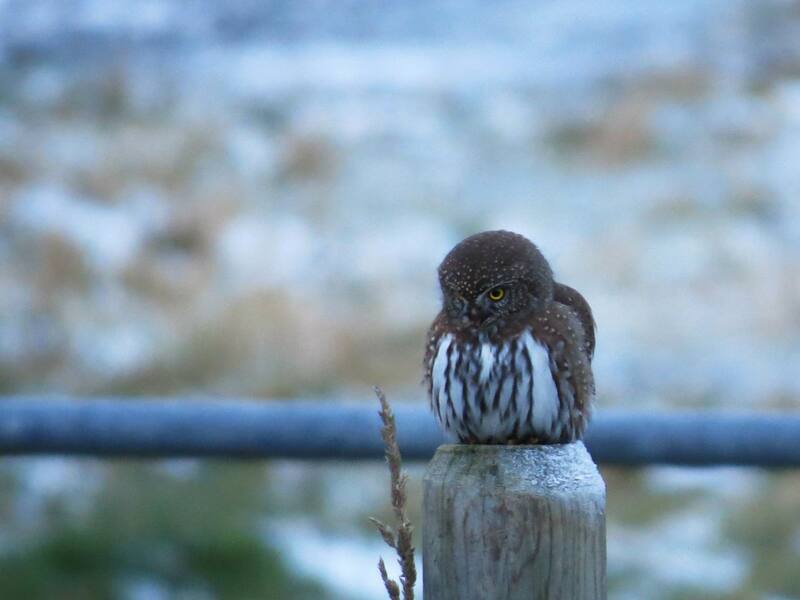 On second glance, it turns into a Pygmy Owl. 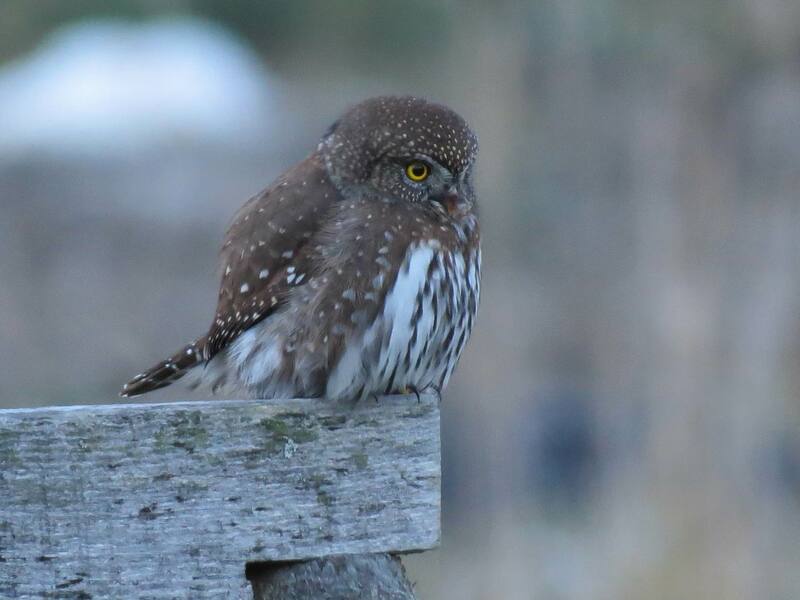 This little owl was very interested in the sawmill. It kept coming closer and closer. In the end it perched on the rain roof of the mill. This gave me a good opportunity for some pictures right in front of my nose. Save the date. The annual Christmas Bird Count is set for December 15. John notes that many of Pemberton’s regular winter guests are showing up – he’s fielding reports of House Finches, Evening Grosbeaks, Bohemian Waxwings, Pygmy Owls etc. We’ll post the details soon.